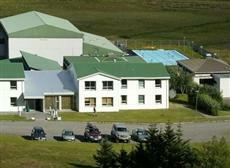 The Hotel Edda Laugar i Saelingsdal is located in Buoardalur making it one of the best hotels to stay at while in town. All hotel's guestrooms have all the conveniences expected in a hotel in its class to suit guests' utmost comforts. Room amenities include television, shower. Guests staying at this Buoardalur accommodation can enjoy a wide range of hotel facilities such as meeting facilities , restaurant, bicycle rental. For a more enjoyable stay, guests can take advantage of a variety of recreational facilities, including jacuzzi, outdoor pool .The hotel provides a warm and welcoming service of international standard. Please complete our secure online booking form by entering your period of stay.